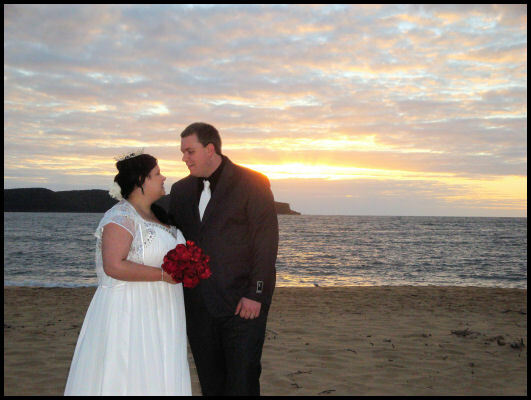 Two families rose before dawn to witness the wedding of Samantha and Michael at Pearl Beach. It was the most stunning sunrise and a fabulous memory for all present. In a small family gathering on beautiful pre-dawn Pearl Beach, Sam & Michael said ‘I do’. Samantha & Mike both get up early to commute together for their day jobs. Now, for the rest of their lives, they can reflect on their commitment to each other every morning at dawn. “You were amazing. From ceremony location to vows, you helped every step.